Fair. Some damage / tearing to hardcover and dustjacket on spine **SHIPPED FROM UK** We believe you will be completely satisfied with our quick and reliable service. All orders are dispatched as swiftly as possible! Buy with confidence! Very Good. 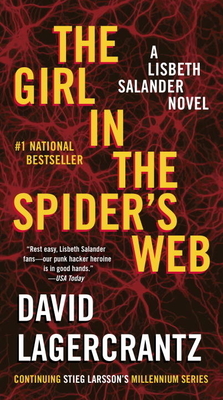 The Girl in the Spider's Web (Millennium) by Lagercrantz, David. Sewn binding. Cloth over boards. 416 p. Millennium, 4. Good. The Girl in the Spider's Web (Millennium) by Lagercrantz, David. Sewn binding. Cloth over boards. 416 p. Millennium, 4.